Industry certifications show students have demonstrated evidence of technical skill attainment in a chosen field. An industry certification verifies an individual possesses the entry-level skills to perform particular job functions in the area of certification. Research indicates students who attain industry certifications earn more money over the course of their careers than those lacking industry recognized certifications. 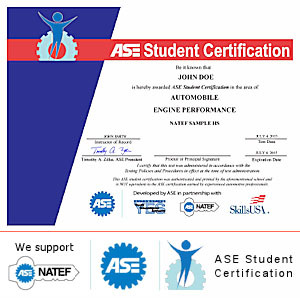 Additionally, students who earn a certification feel a sense of accomplishment. Employers are demanding a more qualified and skilled workforce for the future. Earning an industry certification provides students with a competitive edge upon entering the workforce. Students can also receive college credit after obtaining an industry certification through state or local articulation agreements. View a list of our most frequently administered industry certifications.